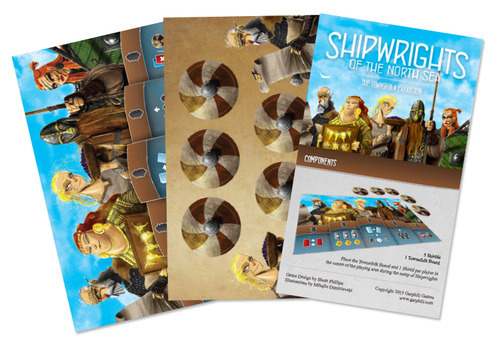 The Townsfolk Expansion for Shipwrights of the North Sea is a mini expansion which expands the Worker Placement aspects of the game. Included in the expansion is a new central game board, 5 shield tokens and a rule sheet. Add a Review for "Shipwrights of the North Sea: The Townsfolk Expansion"